If you’ve got naturally straight hair, you’ve probably lost count of the number of times you’ve been told how lucky you are or how envious someone is of your smooth and sleek, pin-straight locks. But in reality, straight hair isn’t always a blessing… It may be hard to believe, straight-haired girls suffer from bad hair days, too. Static hair is a problem that many straight-haired ladies are all too familiar with. To free your life from it (or at least bring it under control), try keeping a dryer sheet in your bag at all times. Then, when you feel that your hair is starting to take flight, simply rub the sheet between your hands and over your mane. When you’ve got straight hair, volume can seem like something of a myth. No matter how much you tousle your locks, it’s almost impossible to achieve that boost for more than a couple of minutes. 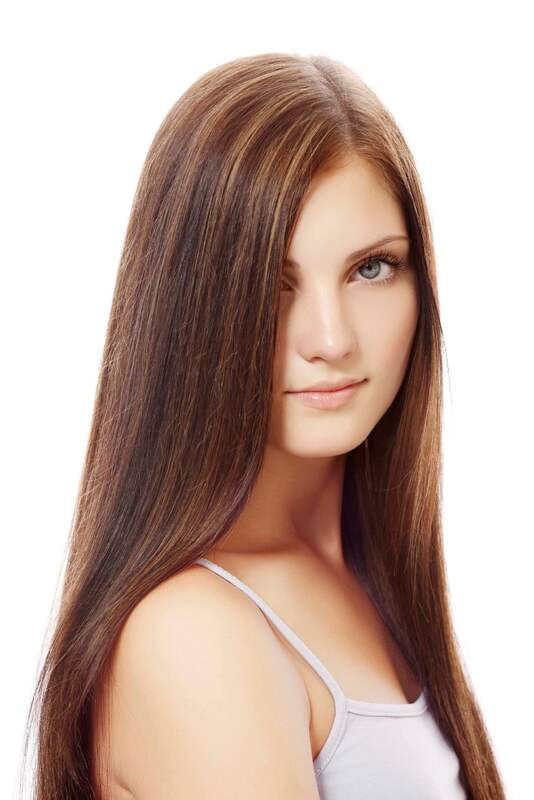 Using the right products can, however, help you to inject volume into your straight hair. Invest in a volumising shampoo and conditioner, such as TIGI S-Factor Stunning Volume Shampoo and Conditioner or the TRESemmé Collagen+ Fullness Shampoo and Conditioner. Straight, straight, or straight: Take your pick! Girls with straight hair might not have curls to contend with, but they do have to deal with oil and grease. That’s right, no matter how much you avoid touching your hair, you’ll probably notice that it gets incredibly greasy at the end of the day – and you’ve only got your smooth follicles to blame! The minute your straight hair starts to get oily, you’ll probably realise that it quickly looks weighed down, limp and in desperate need of some TLC. So, while your curly-haired friends can often go days and days without washing their locks, you’ll need to wash yours more regularly. If you’re running late or have zero time (or inclination) to wash your hair, try a good dose of dry shampoo like the VO5 Plump It Up Dry Shampoo (£2.99*). This should help eliminate grease and oil, allowing you to buy some extra time between washes. Sometimes it seems that keeping your locks straight is your only option. Even when you spend hours desperately trying to add curls, waves and texture to your hair – if you do eventually succeed – you’ll often notice that it returns to its usual straight self in no time at all. Gently tousled beach waves with effortless texture are a key trend this season. But when you’ve got straight hair, this laidback look can seem totally unattainable, right? To inject some much-needed texture, get your hands on a good salt spray like the Toni&Guy Casual Sea Salt Texturising Spray (£7.49*) and spritz it on damp hair before blow-drying with a diffuser.